Carol L. Stringer, 84, of Frankfort, passed away Tuesday, December 4, 2018 at Aperion Care of Frankfort. She was born August 2, 1934 in Frankfort to Lloyd and Ruby (Reed) Ayers. She was a 1952 graduate of Frankfort High School. She married Samuel Stringer July 1, 1955, he preceded her in death. Carol worked as the secretary for the First Wesleyan Church and part time at the District Church Office. She then worked for the Clinton County Welfare Office for 10 years before retiring in 2000. She was a member of Lebanon Wesleyan Church. Carol is survived by her children, Linda Stringer and Becky (Greg) Poe, both of Frankfort; brothers, Robert “Bob” Ayers of Indianapolis, Kenny (Nancy) Ayers of Union City; and grandchild, Heidi Poe. Along with her husband, she was preceded in death by her parents; sister, Doris Ayers; and brothers, Paul, Roy “Taxi,” Donald “Don,” and James Ayers. 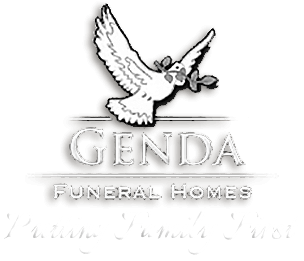 Visitation will be held 1pm until the time of the service at 3pm Friday, December 7, 2018 at Genda Funeral Home in Frankfort. Dr. David Fry will officiate. Burial will follow at Bunnell Cemetery.